Many new products have been displayed at METSTRADE this month in Amsterdam, and feedback for Ocean Signal has reported as very positive from visitors, customers and partners to the launch of its latest product – the new ATB1 AIS Transponder. In addition to introducing the Class B device incorporating the SOTDMA technology and 5W output power, Ocean Signal also announced the appointment of Nordwest-Funk GmbH as its new distributor in Germany and IEC Telecom AS is its new distributor in Norway. Ocean Signal Sales and Marketing Manager James Hewitt said that METSTRADE is always an exciting platform to showcase their products and gauge the reaction of experts, media, users and partners to their range, so they were really pleased and encouraged with the feedback to their new AIS transponders. Everyone was very interested in the features and innovations incorporated in the development of both the ATB1 Class B and ATA100 Class A devices and the company looks forward to introducing them to the market in 2018. It was also great to confirm the expansion of their European distributor network at the show. Hewitt continued that they are feeling very optimistic about the year ahead. 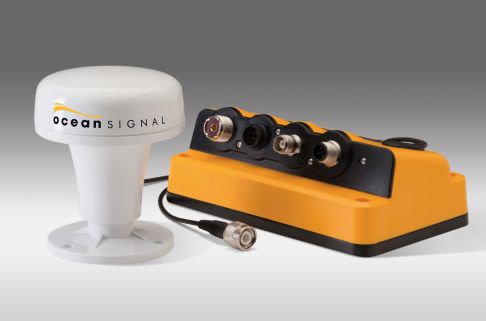 Ocean Signal also introduced the ATA100 Class A AIS Transponder for the first time at METSTRADE, a combined SOLAS and Inland approved solution with a seven-inch high-intensity, full-color, rapid-response LCD and the only Class A AIS transponder available rated to the IPX7 waterproofing standard.